RESQ Charitable Trust - Pain is real...but so is Hope. This fellow was brought into RESQ today with severe skin infection, multiple maggot wounds and bleeding scabs..and right now he is looking and possibly feeling quite miserable. Every single animal at RESQ is given a NAME and we were scratching our heads what to name this young fellow...and finally we named him RAY! 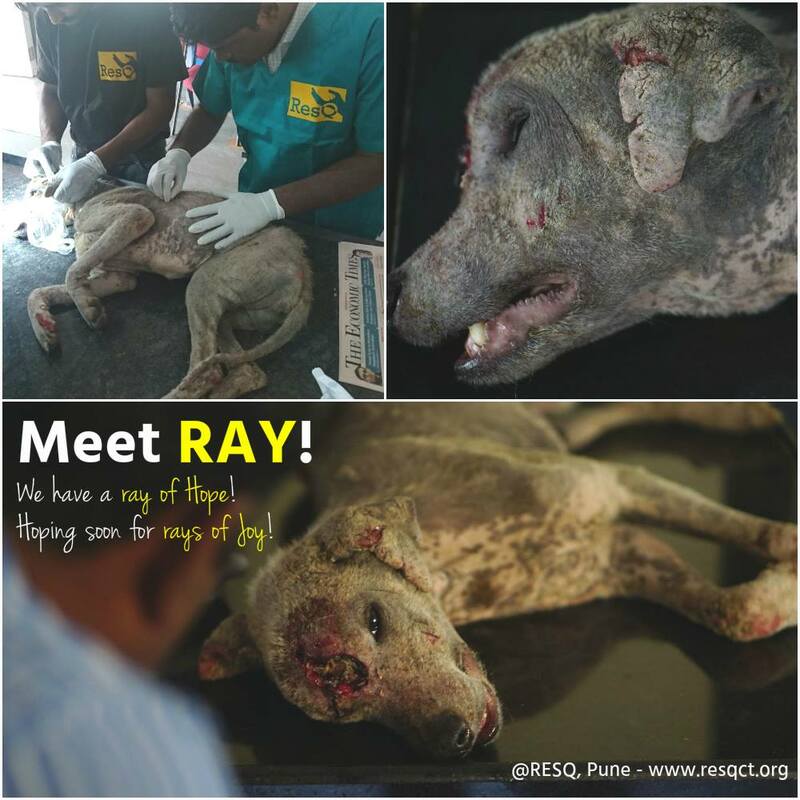 We have a ray of hope and we are hoping for rays of JOY when he makes a full recovery!! A lot of people think animals in this condition don't make it but we hope (and secretly we know) that he is going to make a full recovery because we are putting in every effort to ensure he gets the best possible medical treatment he needs!